NOW AVAILABLE ON DEMAND: Join a diverse group of integrators and solution providers for a full day of online education, best practices, and training on protecting your clients with profitable security offerings. NOW AVAILABLE ON DEMAND: Never before has the online threat landscape been more dangerous. From computer networks to the entire Internet of Things (IoT), and from ransomware to phishing to advanced persistent threats, companies of every size are being targeted by cybercriminals. Join a diverse group of integrators and solution providers for a full day of online education, best practices, and training on protecting your clients with profitable security offerings. Are you prepared to secure them while growing your integrator business? Why are ChannelPro and IoT Playbook producing a Cybersecurity Online Summit? Cybersecurity is by far the biggest threat to businesses worldwide, and the biggest challenge—and opportunity—for integrators and solution providers. This one-day event will be completely online to easily fit into the busy schedules of our attendees. Join ChannelPro and IoT Playbook editors as we host integrators and solution providers for a full day of online education, best practices, and training on protecting their clients with profitable security offerings. Who should attend the ChannelPro Cybersecurity Online Summit? Any integrator, solution provider, and MSP who wants to learn about dealing with the threats and leveraging the opportunities in the cybersecurity landscape. Topics include Internet of Things (IoT), generating recurring monthly revenue from security services, legal issues, how to specialize in security services, becoming an MSSP, and more. Hear Steve Rutkovitz, cybersecurity expert and MSSP consultant, use the hot topic of Internet of Things security as the launching point for a detailed discussion on why every security service worth offering must assess customer environments, address outstanding vulnerabilities, and maintain deployed protections. Featuring a panel of leading minds from top security vendors, this webinar will take you through a tour of the top revenue-generating opportunities in security today. Opening a security practice can set you up for big profit—or big headaches if you don’t put the right legal protections in place up front. Let attorney and IT legal expert Bradley Gross walk you through the essential contracts and clauses no security service provider can afford to be without. Every SMB needs security services, but finding specific SMBs to sell your security services to, and then turning those prospects into customers, isn’t easy. In this webinar, channel guru Erick Simpson, of SPC International Online, walks you step by step through proven processes you can use to generate security sales leads and convert them into successfully closed deals. Don't Buy Security Talent. Build It! 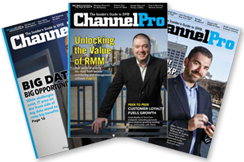 Every channel pro needs security expertise today, but few can afford the enormous salaries that experienced security experts command. Join IT hiring expert Wayne Rampey, of VAR Staffing, for a look at inside secrets you can use to get the security talent you need affordably by finding, hiring, and training people with interests, skills, and abilities that will set them—and you—up for success. Interested in becoming an MSSP? Hear straight from experienced MSSP Steve Rutkovitz how to ethically steal business from your competitors by selling security-as-a-service, protect yourself from security-related legal liabilities even if your client gets breached, and create urgency in your sales prospects while generating add-on security sales. Join global cybersecurity strategist Ian Trump for an expert overview of today’s ever-expanding attack surface, the impact cloud computing and the Internet of Things are having on security vulnerabilities, and specific ways channel pros can protect their clients and grow their business by delivering cybersecurity services. 8:00am to 8:00pm Don't Buy Security Talent. Build It! Win Pham is VP Development at RapidFire Tools, makers of Network Detective. He has over 20 years of product development experience and has expertise in monitoring, management, IT, and security. NOW AVAILABLE ON DEMAND: An amazing lineup of online sessions to grow your security offerings. 100% online. 100% convenient! Registration for Cybersecurity Online Summit is OPEN! Click here to register.